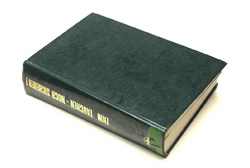 16 x 24 cm, 399 pages. 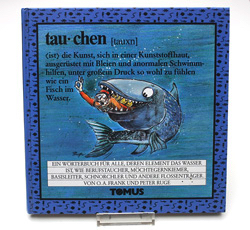 Beautiful book on the sea and all that is living in it. 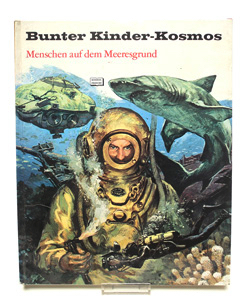 Many BW illustrations, 2 chapters on Diving: Draeger Diver with under water Sledge and the Neufeld & Kuhnke Atmospheric Diving Suit. Condition: good, see pictures. 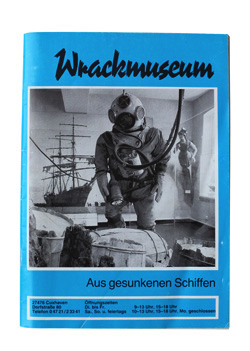 Soft cover book of the Cuxhaven wreck museum. Price €7,50 euro plus shipping. 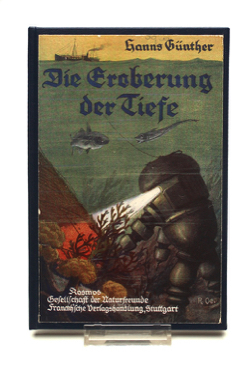 For sale: a 1928 German book on ‘the conquer of the deep’. 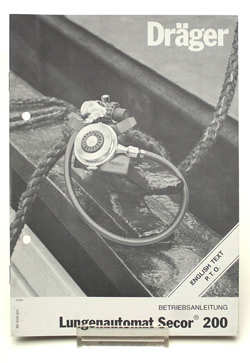 80 pages, many with nice illustrations, some of early Draeger diving equipments. Price €30 euro plus shipping. 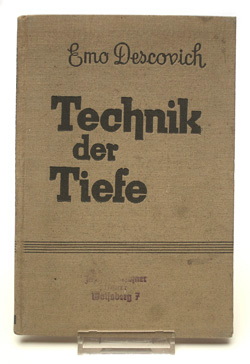 212 pages 12 x 19 cm. Interesting bw photographs and drawings. Price 25 euro plus shipping. 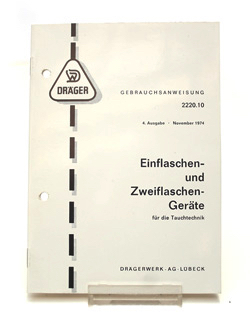 212 pages 12 x 19 cm. Interesting bw photographs and drawings. Price 15 euro plus shipping. Double A4 document, 4 pages. 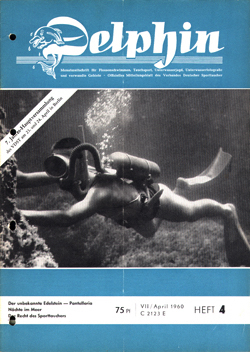 6th edition of May 1970. 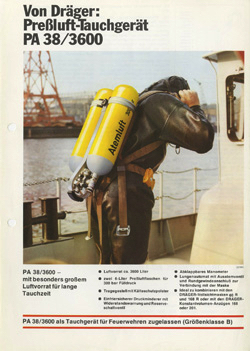 ‘Draeger Preßluftatmer PA37/1600 für den Gasschutz und zum Tauchen’. 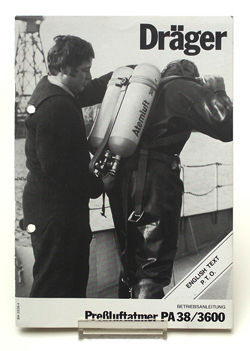 Single A4 document, first edition of May 1978. 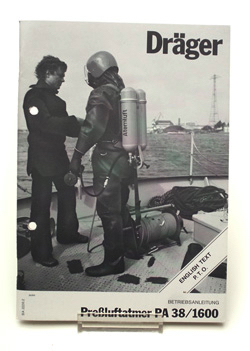 ‘Draeger Diving Equipment’. Price 10 euro plus shipping. 3 x A4 size folded document, 6 pages. 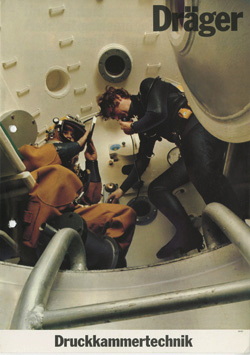 Second edition of April 1978 It shows the Draeger re/decompression chambers. Price 20 euro plus shipping. 15 x 21 cm, 27 pages. 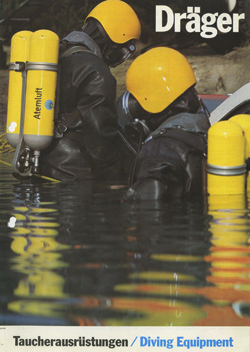 Instructions manual for the the Draeger constant volume Diving Apparatus Model 201. Price 35 euro plus shipping. Double A4 size, 4 pages. 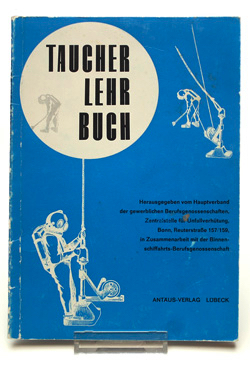 First edition of march 1979. Price 20 euro plus shipping. 25 x 32 cm, 60 pages. Translated from Spanish. 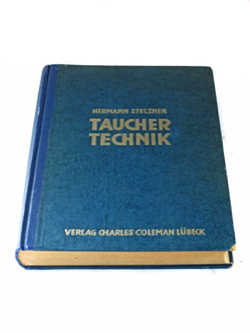 Printed in 1974. Heinrich Draeger. Founder of Draegerwerk, Lübeck. 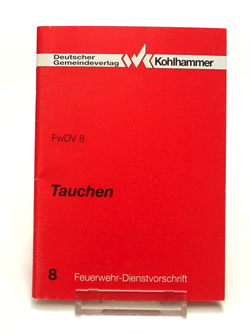 13 x 16 cm, 196 pages. 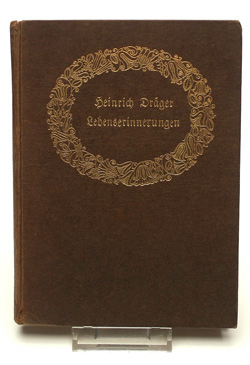 The story of Heinrich Draeger and the early days of Draegerwerk. 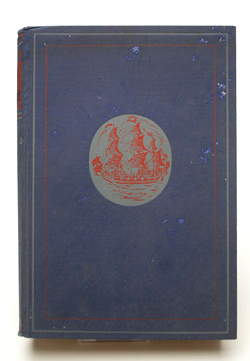 This book was reprinted many times but this is an early edition in a very nice condition. Price 35 euro plus shipping. 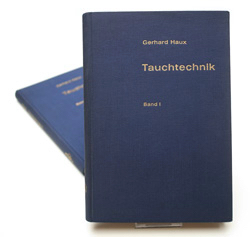 15 x 21 cm, 2 x 20 pages; 20 in German and 20 in English. 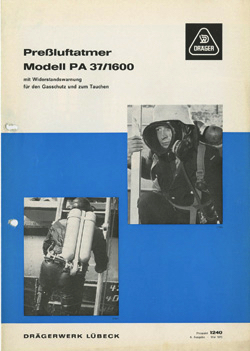 Manual for the PA38 ( regulator ) 1600 ( liters of air in the tanks ) diving equipment. 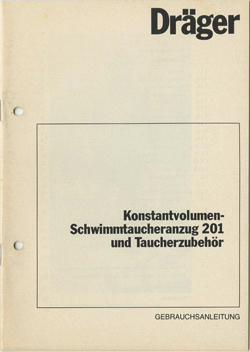 Printed in 1982. 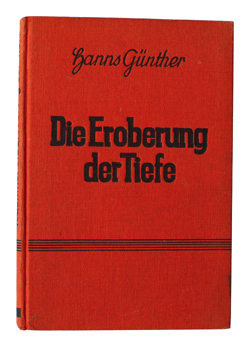 Someone colored the inside of the letters of the word ‘Dräger’ on the English cover side bleu with a ball point, besides from that in perfect condition. Price 20 euro plus shipping. 15 x 21 cm, 35 pages. 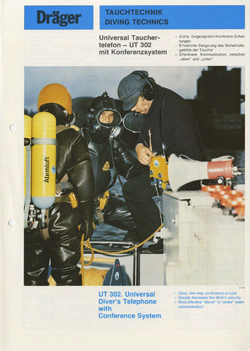 Manual for the PA38 ( regulator ) 2800 ( liters of air in the tanks ) diving equipment. 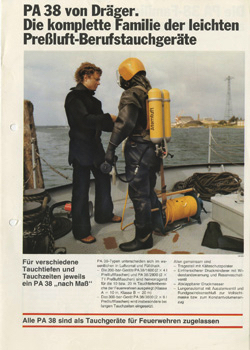 Printed in 1979. This manual is in perfect condition. Price 20 euro plus shipping. 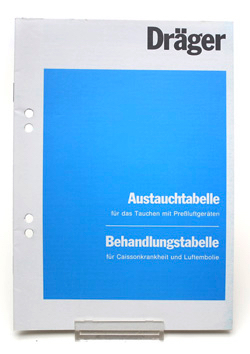 15 x 21 cm, 2 x 32 pages; 32 in German and 32 in English. 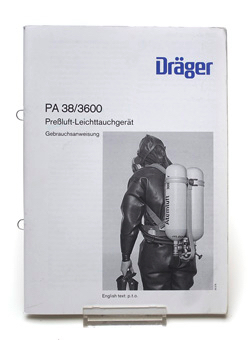 Manual for the PA38 ( regulator ) 3600 ( liters of air in the tanks ) diving equipment. Printed in 1989. 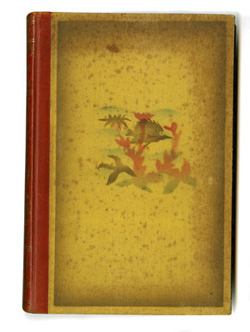 The right upper corner of the cover and first few pages are slightly damaged. Price 20 euro plus shipping. 15 x 21 cm, 2 x 10 pages; 10 in German and 10 in English. 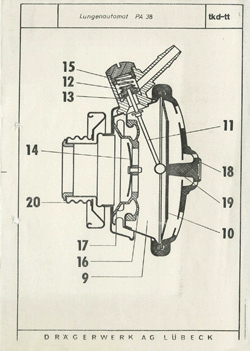 Manual for the Secor 200 regulator. 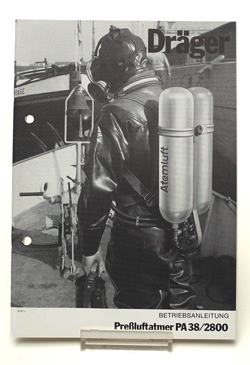 Printed in 1980. Price 20 euro plus shipping. 15 x 21 cm, 15 pages. 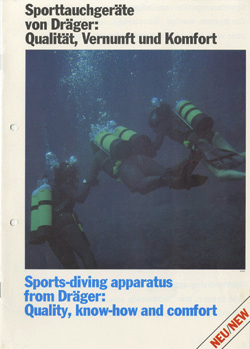 Dräger diving tables for compressed air diving and tables for treatment of decompression sickness. Printed in 1984. Price 20 euro plus shipping. Alexander Fertig. 15 x 21 cm, 225 pages. 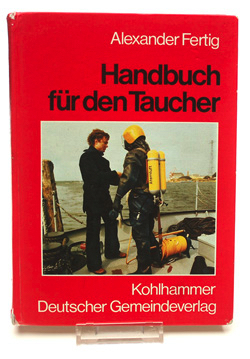 German fire brigade divers manual. 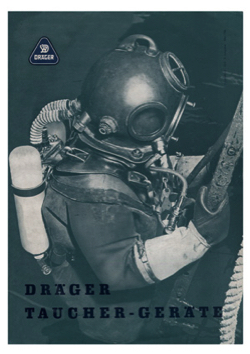 A lot of Draeger diving equipment is described and illustrated. Nice manual in a ‘used’ condition. Price 30 euro plus shipping. 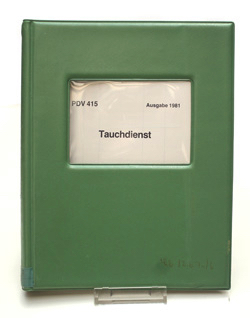 16 x 22 cm, several chapter with their own ranges of page numbers. 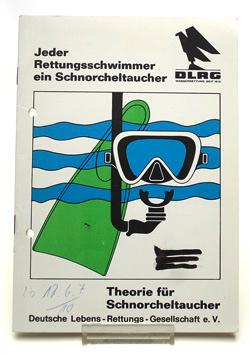 Printed in 1981 diving regulations and tables for the German police. Unissued. Price 30 euro plus shipping. 15 x 21 cm, 95 pages. 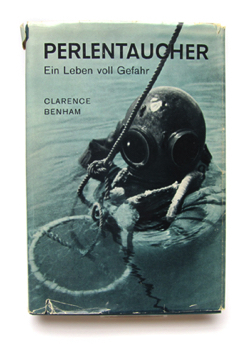 Printed in 1964. 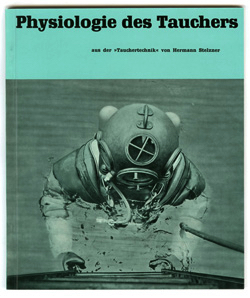 Diving school book published by the German union for Divers in cooperation with the Union for river transport. 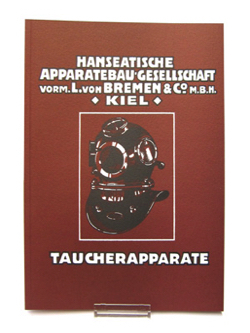 A rare and interesting diving school book with many B&W illustrations showing mainly Draeger diving equipment. The inside cover has a stamp from a former owner. Price 80 euro plus shipping. Paul H. Kuntze. 16 x 24 cm, 363 pages. 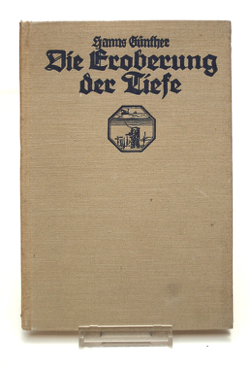 Printed in 1939. 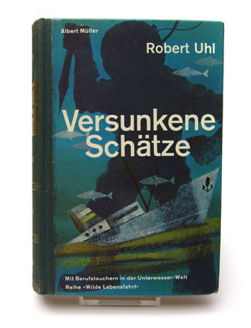 Political motivated book on shipping. 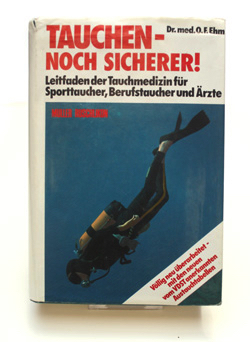 One chapter is about diving on sunken treasures. Price 60 euro plus shipping.